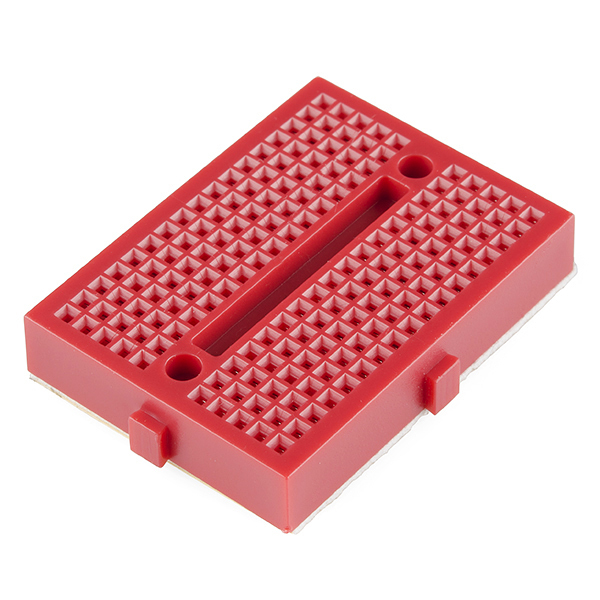 This red Mini Breadboard is a great way to prototype your small projects! With 170 tie points there's just enough room to build and test simple circuits; They're also great for breaking out DIP package ICs to jumper wires! 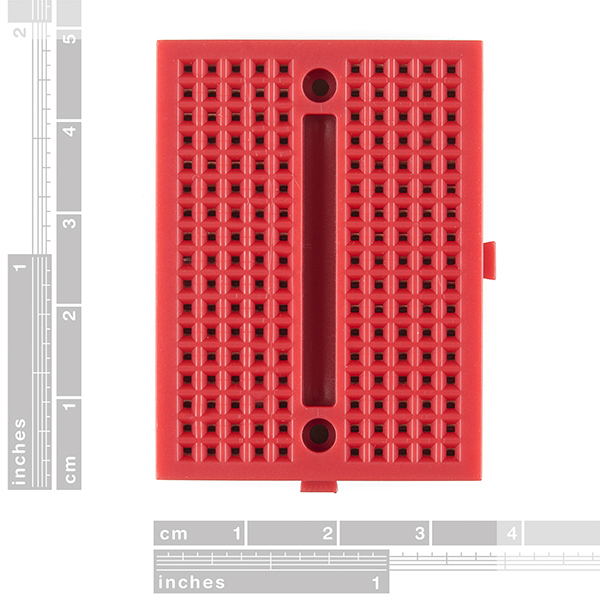 If you run out of room, no worries, these mini breadboards can be snapped together to form larger stretches of board. 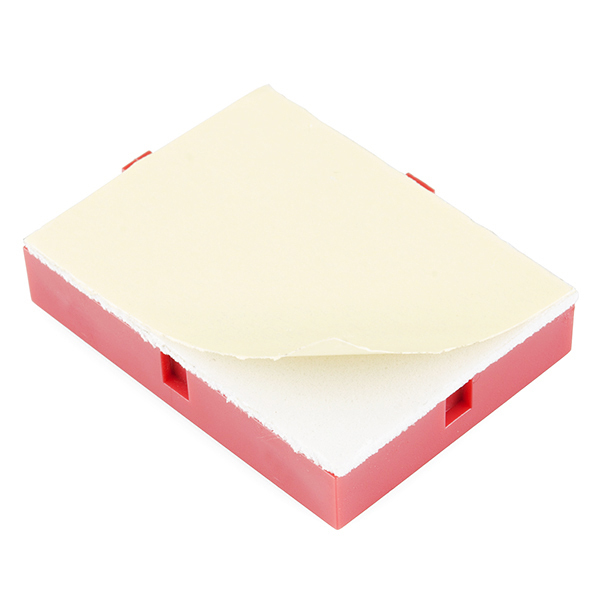 It has a peel and stick adhesive backing as well as two mounting holes for M2 screws so you can anchor it down. these seem kind of expensive, given that you can get 5 of them from Amazon for under $6. What's up? can you give a bulk discount? 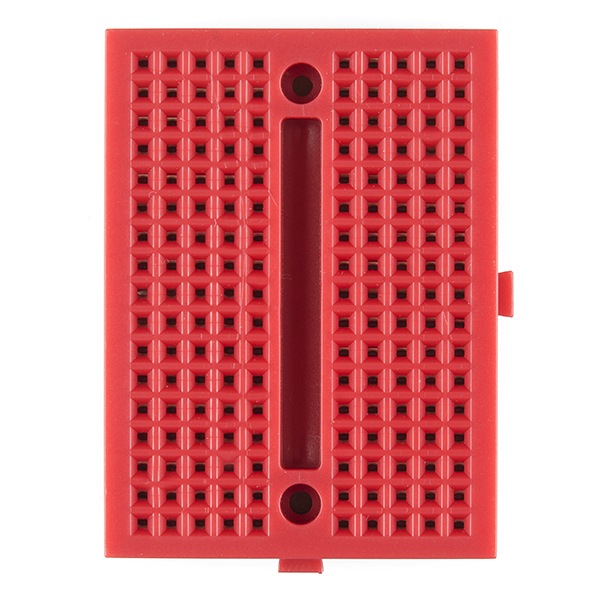 Are the rows connected to each other? Or is each hole independent of the others?